This is what I awoke to on Ground Hogs Day. Any ground hogs around here had to dig their way out.In the morning I looked out the bedroom window. 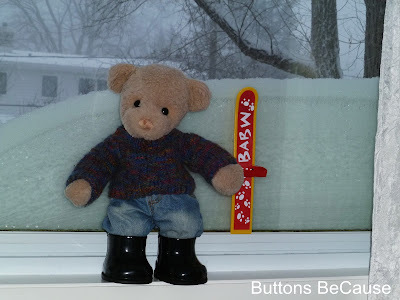 I got my skis and headed downstairs. 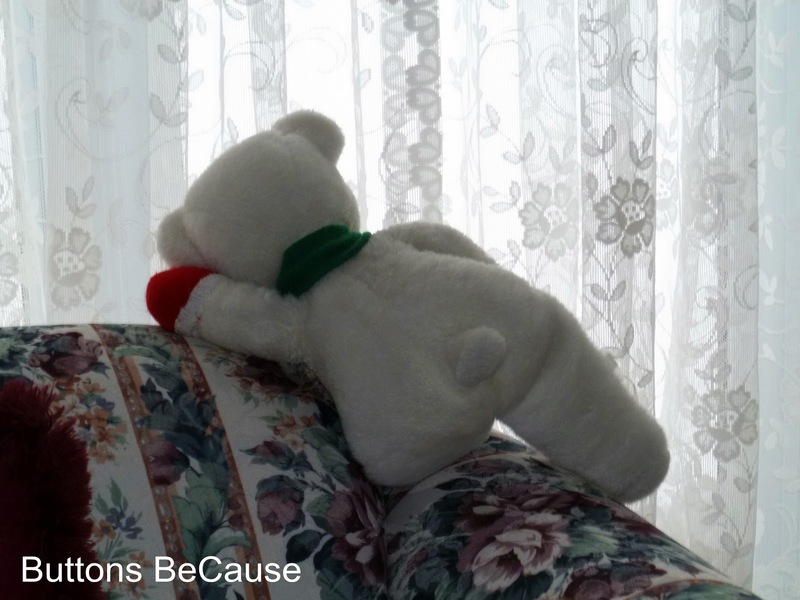 At our house we always blame snowstorms on Snowbeary's Snow Dance. Yep, there he was, moaning about how tuckered out he was. 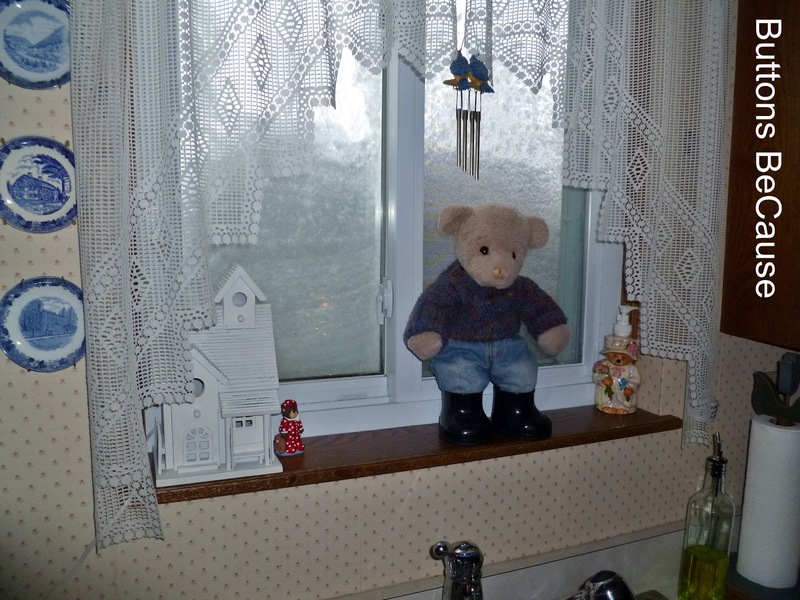 Some more snow drifted on the kitchen window. I think it's a drift on top of the salad table. My dad had to dig his way out. Jeffery, Scruffy and I wanted to go out to play. When we finally got outside, Jeffery was hollering for me to come see what he found. Oh no! Ha ha, that was fun! 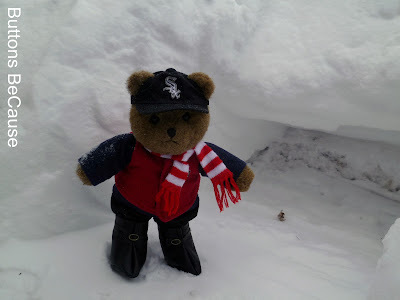 I'll share some more day of playing in the snow a little later this week. So come on back and see what else we did. Love the picks of your snow/ski day. Specially the one at the end, you looked like Mr. Bill from SNL. LOL! You've got a lot of snow! I', very happy that our snow has gone! I want it to be spring!!! We are ready for winter to be over! It's beary, beary cold! Are you hurt? I don't want you to be hurt. Have fun in the snow.